Chimneys at Mongstad will soon stop emitting up to 300,000 tons of CO2 to the atmosphere annually. Statoil, who operates the Mongstad combined heat and power plant together with Dong Energy, says operation is decided phased out following several years of unprofitable operations. Electricity in Norway is cheap, and loads of new renewable energy, in particular hydro- and wind-power, is connected to the grid every year. Mongstad power station is the last of three major gas power plants in Norway be phased out. The Kårstø plant that opened in 2007 was used intermittently for a few years before being closed 2014. Tjeldbergodden reserve power station was commissioned in 2006, but has never been in use. Statoil has likely lost billions of kroner on the Mongstad plant. 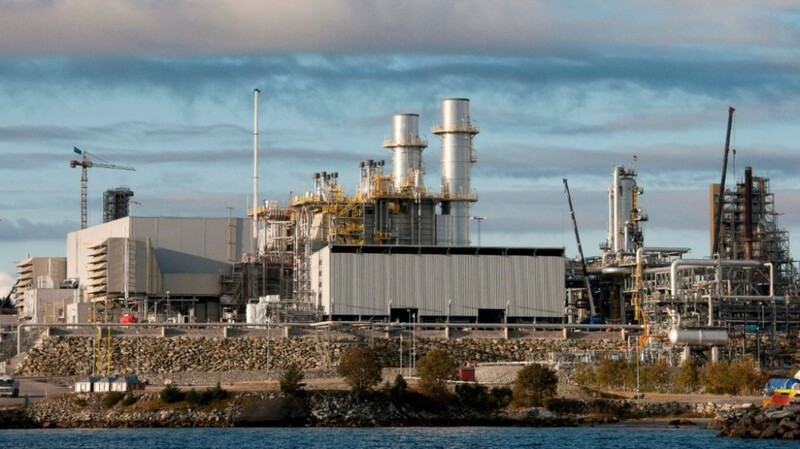 “The reason for this decision is that the plant has had less utilization than planned due to lower steam demand at Mongstad. This has resulted in severe operating loss and actions to adjust the activity are unavoidable,” says Grete Haaland, Senior Vice President for Asset Management in Marketing, Midstream and Processing in Statoil. Operations of the power plant will ceases as the gas supply under an existing agreement ends after a two-year period. According to Statoil, a consequence of the cessation of operations of the Mongstad plant is a reduction of CO2 emissions in the range of 250 – 300,000 tons per year. Environmentalists in Norway welcome the closure. “It is high time. The gas power plant at Mongstad was a wrong investment and it should never been built,” says head of the Bellona Foundation Frederic Hauge. “This shows that renewable electricity outperforms gass, also for Statoil. The company was supposed to build more gas power at Kårstø, Kollsnes and Mongstad. Now all this is shelved,” Hauge says. He warns against similar waste of money in the Barents Sea. “We can’t trust Statoil’s prognosis. Now, the politicians are to decide whether to develop oil- and gas fields in the Barents Sea that will last for 40 years. What now has happened at Mongstad should tell them that investments in the Barents Sea is very risky,” says Frederic Hauge. Statoil’s press spokesperson Elin Isaksen says to NRK that losses on operations of Mongstad varies between 200 and 500 million kroner (€23 to €56 million). That means total losses of up to 3,5 billion Norwegian kroner (€396 million) over the seven years the gas power plant has been running.